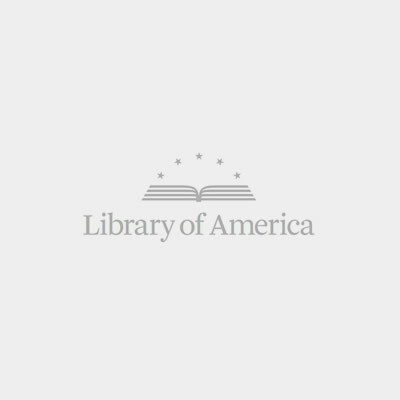 Enjoy Barbara W. Tuchman’s The Guns of August and The Proud Tower for only $3.95 as your introduction to the Library of America series. One of the best-known historians of her time, Barbara W. Tuchman (1912–1989) distilled the complex interplay of personalities and events into gripping narratives that combine lucid scholarship with elegant literary art. Her Pulitzer Prize–winning bestseller The Guns of August (1962) is a riveting account of the outbreak of World War I and the weeks of fighting leading up to the First Battle of the Marne in September 1914. Tuchman dramatizes the diplomatic debacles that precipitated the war and the intransigence of the German and French armies as they dogmatically adhered to their battle plans, with disastrous consequences. The Guns of August is presented here with ten fully restored two-color maps and sixteen pages of photographs. Some of Tuchman’s finest writing graces her next book, The Proud Tower: A Portrait of the World Before the War, 1890–1914 (1966). She brings to life the disparate worlds of the self-satisfied English aristocracy and the miserable poor whose conditions gave rise to international anarchism; revisits the national madness of the Dreyfus Affair in France; considers the naiveté and cynicism of the varied participants in the international peace conferences at The Hague; mounts a dazzling foray into cultural criticism with a meditation on the operas of Richard Strauss; and creates unforgettable portraits of such political titans as Thomas B. Reed, longtime Speaker of the U.S. House of Representatives, and French Socialist leader Jean Jaurés. The present volume reproduces the original endpaper illustrations from the first edition of The Proud Tower, plus a thirty-two page insert of illustrations. And as a special coda, it presents “How We Entered World War I,” a 1967 essay that appeared in The New York Times Magazine in which Tuchman explores the genesis of U.S. involvement in the Great War. World War I and America: Told by the Americans Who Lived It brings together 127 pieces that tell the vivid story of battlefront and homefront from Sarajevo and the invasion of Belgium through the sinking of the Lusitania, the Armenian genocide, the controversy over intervention, and the terrible ferocity of Belleau Wood and the Meuse-Argonne, to the League of Nations debate and the racial violence and political repression that divided postwar America. Among the writers: war correspondent Richard Harding Davis witnesses the burning of Louvain; Edith Wharton tours the war zones in the Argonne and Flanders; John Reed records the devastation in Serbia and Galicia; diplomats Henry Morgenthau and Leslie Davis report on the extermination of the Armenians; Jane Addams and Emma Goldman warn against militarism; pilots Victor Chapman and Edmond Genet describe flying with the Lafayette Escadrille; infantry officer Hervey Allen recalls the hellish fighting at Fismette; nurses Ellen N. La Motte and Mary Borden depict the “human wreckage” brought into military hospitals; suffragist Carrie Chapman Catt connects the war with the struggle for women’s rights; and Justice Oliver Wendell Holmes considers the limits of free speech in wartime; W. E. B. Du Bois and Jessie Redmon Fauset expose the contradiction between the fight for democracy abroad and the treatment of African Americans at home. The writing gathered here illuminates, as no retrospective history can, how Americans perceived and felt about the war, why they supported or opposed intervention, how they endured the nightmarish reality of modern industrial warfare, and how they experienced the uncertainty and contingency of unfolding events. Act now to take advantage of this limited-time offer! order now Order The Guns of August &amp; The Proud Tower now for just $3.95 plus $3.00 shipping & handling PLUS GET A FREE BOOK!